Pages etc. : 389p., (59) pls., (11) col pls., ind., 29cm. This book chronicles the role of Buddhism in the formation of the state, literature, art, and beginnings of technology in Japan from the sixth century down to our times. From the name of the country as Nippon arising out of the golden light of the rising sun in the Suvarnabhasottama-sutra;down to the Indic sequence of the kana syllabary, or the kanji of the sutras becoming the terminology of the yosai in the 19th century, from the haiku of Basho to the very name of the astounding poet Saigyo Going to the West (i.e. India); and the overwhelming sharing of culture alongside its internalisation as Japanese are recorded herein. Transience of the cherry blossoms, the resonance of temple bells vanishing into sunyata, or the Vice-Admiral of the Japanese navy committing harakiri at the end of the Second World War, scenes from the Mahabharata in the kabuki theatre, Sanskrit mantras, the sprawling homa fires of the yamabushi on;the mountains, gigantic Sanskrit bijaksaras on rocks, the rathayatra of Sravasti of Lord Buddhas life time featuring as the major vibrant Gion festival with millions of Japanese participating, and innumerable historical and living events are deep bonds of India and Japan. 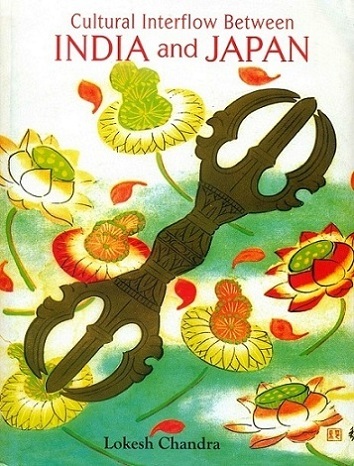 The book is a moving story of how Prof. RaghuVira renewed these bonds by inviting Japanese students, commencing classes of Japanese language for the first time in India, inviting Prof. Kenzo Takayanagi who had defended the WWII Prime Minister of Japan at the War Crimes Tribunal and so on. A rare letter of General Douglas MacArthur, not to convert the Emperor of Japan to Christianity, is cited in full.